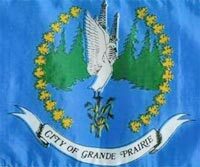 Grande Prairie is the chief city in the northwestern part of the province of Alberta. It is located on the southern edge of the Peace River Country (The Peace Region or simply as "The Peace", as is often locally known), which encompasses much of northwestern Alberta and northeastern BC. The city of Grande Prairie is one of Canada's fastest growing cities and in 2005, its population was 44,631 (the population of the entire Census Agglomeration is the same). It is currently Alberta's 7th largest city. Grande Prairie is the largest city between Edmonton and Fairbanks, Alaska along the Highway 43 and Alaska Highway routes. 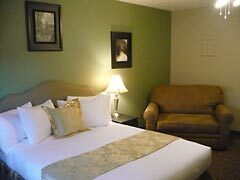 If work or leisure brings you to Grande Prairie, stay in the comfort of Brookside Suites Hotel Apartments. These fully renovated, furnished suites, for rent on a daily, weekly or monthly basis, present an air of distinction and style. Yet they’re quiet and tranquil and have most of the amenities of home. Situated on the riverbank overlooking Muskaseepi Park, a 1000 acre park, with many paved trails, this is perfect for the fitness buff or for those just wanting to get some fresh air or stretch their legs. The city has adopted the endangered Trumpeter swan as an official symbol because it is near the migration route and summer nesting grounds of this large and graceful swan. For that reason, Grande Prairie is sometimes nicknamed the "Swan City". Grande Prairie is located just north of the 55th Parallel (see lat/long location at the top of this page) and is 465 km (289 miles) northwest of Edmonton. The city of Grande Prairie lies at an elevation of 669 m (2195 ft) above sea level. The city is surrounded by farmland to the north, east and west. To the south, it is mostly a vast boreal forest with aspen, tamarack, lodgepole pine and black spruce extending well into the Alberta Foothills south of the city. Bear Creek goes through the city from the northwest to the south end and is a tributary of the Wapiti River to the south. The terrain immediately surrounding Grande Prairie is largely flat to gently rolling, but rises gradually to hilly terrain closer to the Alberta Foothills to the south. The city lies on the southern edge of what is known as aspen parkland, which is a transitional biome between boreal forest and prairie. 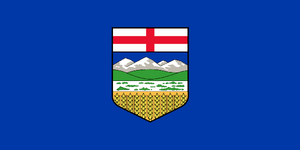 The Peace Country contains the northernmost area of aspen parkland in North America. Grande Prairie has a northern continental climate typical of Alberta and northeastern BC. Winters are generally cold with some mild spells. Summers are often fairly cool to pleasantly warm in the daytime, but nights can be cool despite the long summer days typical for its latitude. Hot days over 30°C (86°F) are rare, occurring on average only 1-2 days a year, which is not unexpected this far north. Winter conditions can vary tremendously from year to year. Winters have been known to be mild enough to produce "brown Christmas" conditions, where little or no snow may fall until after Christmas due to unusually mild early winter conditions. The average winter season temperature is -12°C (59°F) and the average summer season temperature is 15°C (5°F). However, temperatures as low as -52°C (-62°F) and as high as 35°C (95°F) have been recorded. Grande Prairie gets 295 mm (11.6") of rain and 180 cm (5'8 1/2") of snow per year on average. Snowfall amounts, however, vary greatly from year to year. Being fairly close to the Alberta Foothills, it can get quite windy in Grande Prairie, especially in the spring and fall. Summers can bring thunderstorms, although they are not as frequent nor as severe as those further south in Central Alberta. Rainfall can vary from year to year, but the Peace Region is noted for never having experienced truly severe drought conditions more typical of Southern Alberta and Saskatchewan. Although a tornado struck the city on July 9, 2004, which was weak but still powerful enough to flip vehicles and do minor damage, it should be noted that tornadoes are an extremely rare occurrence in the Peace Region. Major industries include oil and gas, agriculture, forestry, services, and technology. Grande Prairie is one of the most economically diverse cities in Alberta outside Edmonton and Calgary. Agriculture was the first economic mainstay of Grande Prairie since settlement began in the early 20th Century, and it is still an essential part of the local economy. A variety of crops such as barley, wheat, canola and oats are grown widely in the Peace region, as well as livestock such as cattle, and even buffalo. Despite the latitude (north of 55°N), the climate is mild enough to allow for farming on a large scale to prosper. 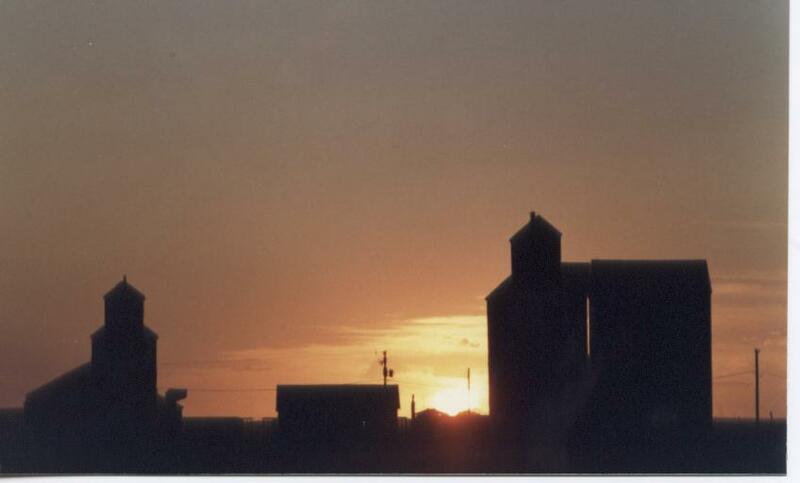 Also, daylight hours tend to be quite long during the summer, aiding in crop production. The Peace Region is the northernmost major farming region in North America, and land there is still being cleared for new farmland. Although some oil and gas drilling has been ongoing in the South Peace since the 1950s, oil and gas exploration did not begin to occur on a large scale until the late 1970s, when the Elmworth gas field was discovered and exploited. Forestry is a major part of Grande Prairie's economy, for large tracts of forest lie to the south in the Alberta Foothills. The Weyehaeuser Canada kraft pulp mill is one of Grande Prairie's largest employers and was opened in 1972. It was owned by Procter & Gamble until it was sold to Weyerhaeuser Canada in 1992. Canfor runs a sawmill and lumber yard operation in the west side of the city. The Ainsworth OSB (Oriented Strand Board) plant opened in the late 1990s. Grande Prairie serves as the economic and transportation hub for a trading area of nearly 250,000 people. Grande Prairie is also on the CANAMEX trade route linking Canada, the United States and Mexico. Due to the fact that Alberta has no provincial sales tax and that Grande Prairie is fairly close to the Alberta-BC border, there is a high number of shoppers from British Columbia. Hence, it is not unusual to see a large number of vehicles with BC license plates in retail and mall parking lots in Grande Prairie.